A real live historian's research, comments, and cooking. 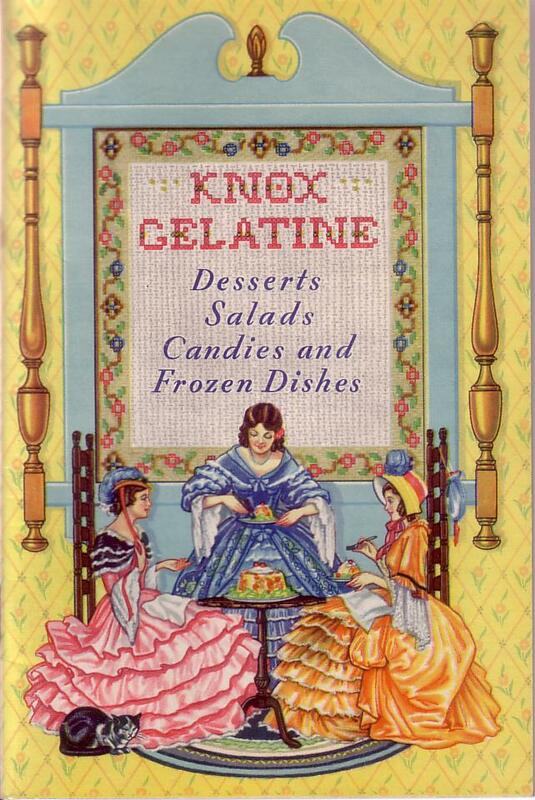 Soften gelatine in cold water. Add hot water and stir until dissolved. Add sugar, salt and fruit juices (cut grapefruit sections in small pieces). Mix thoroughly. Cool, and when jelly begins to thicken, beat until frothy and then fold in stiffly beaten egg whites. Turn into mold that has been rinsed in cold water and chill. When firm, unmold and garnish with grapefruit sections, cherries or strawberries. Serve with custard sauce made from the yolks of the eggs. If fresh grapefruit is used, one-half cup more sugar will be necessary. Oh, and this booklet also has a nice back cover, with the surprising element of mixed-race mascots at the top. Very unusual in my experience so far. 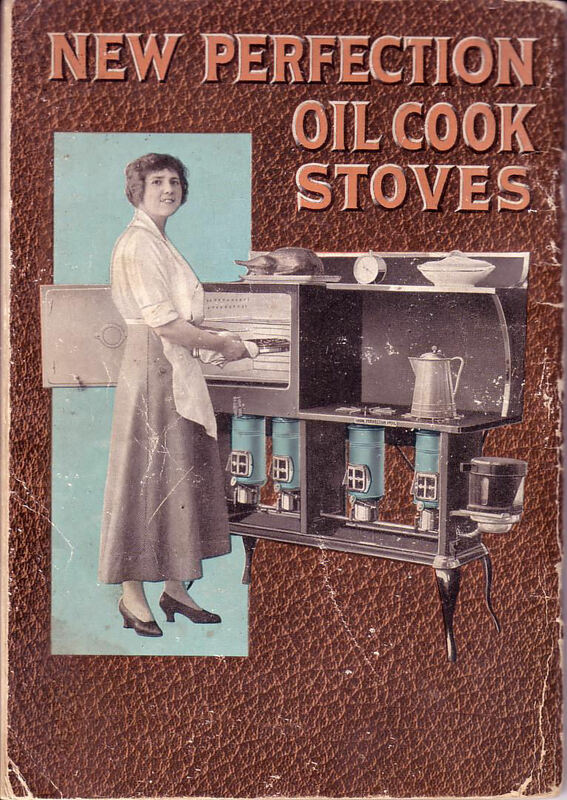 The other item for today is the “New Perfection Cook Book and Directions for Operating New Perfection Oils Stoves.” The pamphlet seems to have been provided with each new stove, but it doesn’t have a date (nor does it actually name the manufacturer, oddly enough). I believe, based on browsing numerous websites, that this pamphlet may date to around 1917, but it’s hard to be sure. The company also made stove accoutrements including a stovetop broiler, a pancake griddle, and a toaster, and also basic oil heaters. Not many chilled recipes in this one, but let’s look forward to fall and consider one of the suggested menus: New England Boiled Dinner – Corned Beef, Cabbage, Turnips, Carrots, Beets, Potatoes, Whole Wheat Bread and Butter, Orange Pudding, and Coffee. Apparently you cooked all the vegetables and meat together for four hours, except the potatoes (added in the last hour) and the beets (cooked separately). I think I’d add some spices if I were to make this!! ← War of 1812: S.N.A.F.U.